Who is Cary Fukunaga, the new James Bond director? Social media users reacted with jokes and dismay as rumours circulated on Friday that the 25th James Bond film could be called Shatterhand. The American director will take on the 25th installment of the spy franchise replacing Danny Boyle. 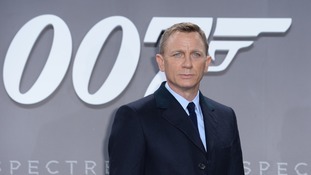 Who will replace Danny Boyle as James Bond director? Bookmakers have offered odds on potential Bond directors with Scottish filmmaker David Mackenzie being the current favourite to takeover. Production on the 25th Bond film is due to begin in December. Gayson starred as James Bond's love interest Sylvia Trench alongside Sir Sean Connery in the films Dr No and From Russia With Love. The Trainspotting and Slumdog Millionaire filmmaker will work on the movie that sees Daniel Craig return to the 007 role for the fifth time. The British filmmaker was best known for his work on James Bond, directing three separate films, including The Spy Who Loved Me.